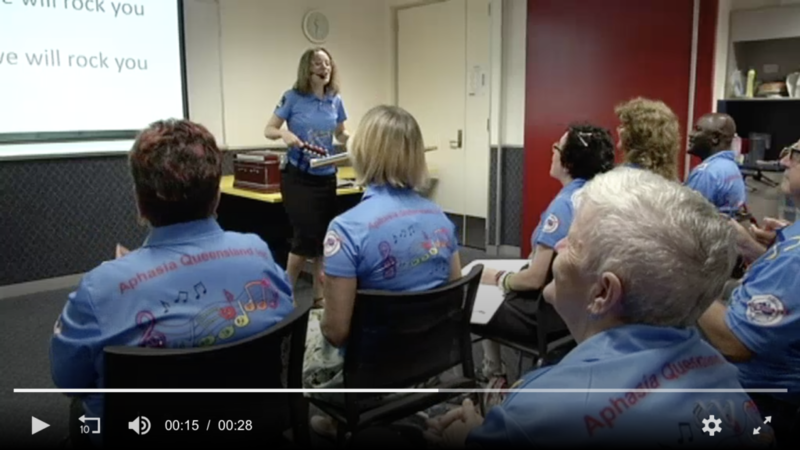 Music therapy for aphasia keeps popping up on our site because there are amazing stories out there about people singing through their aphasia. We’ve written about why music therapy works as well as people who are able to sing but not speak fluidly, such as Randy Travis or Sophie from the short film, Still Sophie. You don’t need a fantastic voice. You just need to allow the music to move you. You can watch them in action by clicking on the image and watching the video at the top of the screen. The speech therapist who runs the group has noticed a big difference in the 12 months that the group has been meeting. “Everyone was really shy at first and really not singing very loudly, now they are all communicating really well together,” Ms Brown said. Moreover, it’s not just about practicing speech. One member states that “a judgement-free place to communicate with people like him has helped just as much as the singing in his rehabilitation.” The majority of group members are in the same boat, making it a safe space to relearn communication skills. Do you sing? Tell us about your experience with music and aphasia.